INCREDIBLE Price! 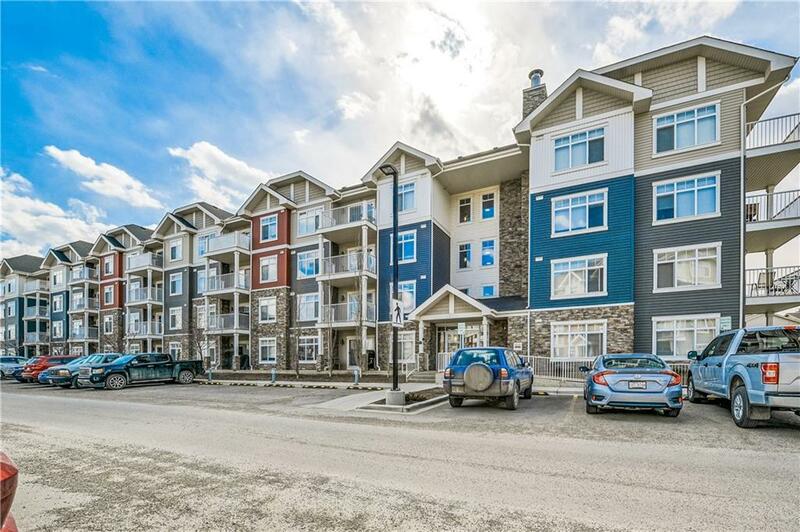 Welcome to this upgraded 2 bedroom/2 bath corner unit on the 3rd floor in Skyview Ranch. 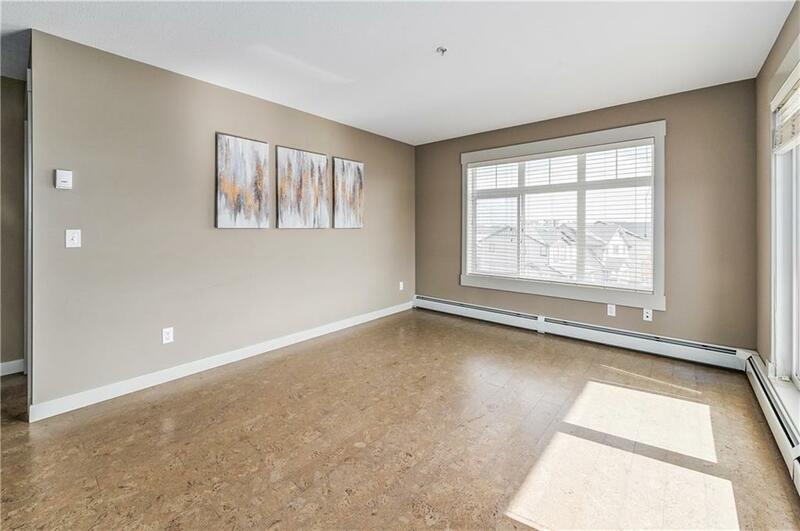 This spacious unit features a great, open concept floor plan, with bedrooms on the opposite side of the unit. The Master bedroom boasts a walk through closet area, a 4 piece en suite bathroom and offers the buyer good living space. 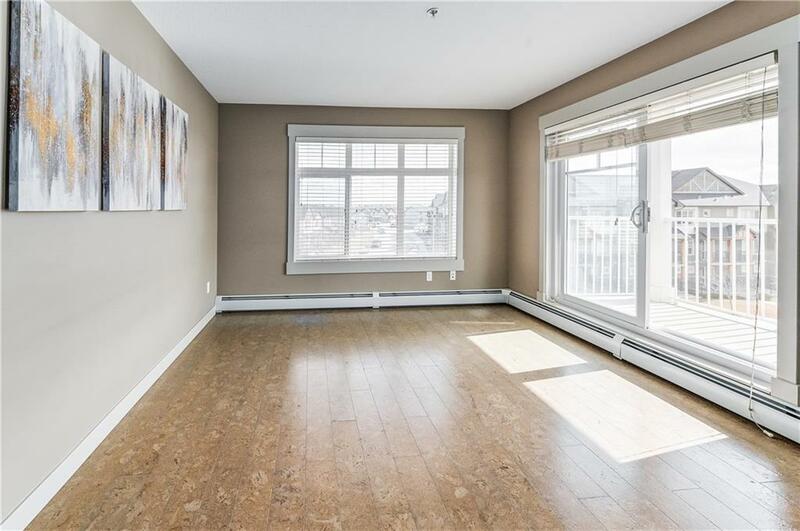 The Living Room has access to the sunny southwest facing balcony that offers gas hook up for those warm BBQ days. The Kitchen is upgraded with espresso cabinetry, gleaming granite counter tops with a tiled back splash, S/S appliances, and a breakfast eating bar with pendant lighting accenting above. This great unit comes with 1 u/g parking stall and storage area. 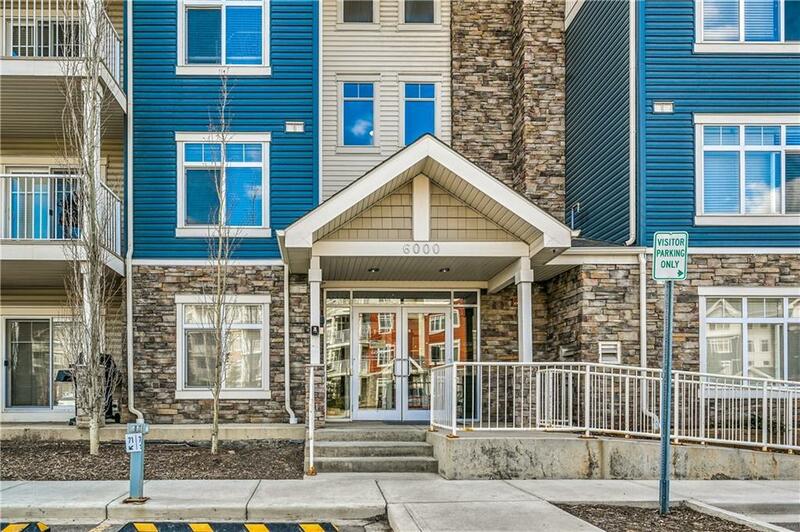 This convenient location is close to the Airport, Shopping, and just a short walk to major bus stops.